Hello to all of you! I’m so honored to have the opportunity to share a guest post here on Zeenat’s blog. Zeenat is a huge source of inspiration and encouragement to me. I thank her for allowing me to share my heart with you…. I referred to this passage many, many times as I battled the dark pathway of illness, depression, endless doctor’s visits, surgeries, and all that comes with being chronically ill – and a survivor of domestic violence. I barely survived domestic violence, meaning that my abuser literally tried to murder me. This isn’t an easy concept to live with – nor are the horrid memories. It’s been a very long, extremely difficult journey, but I was finally able to break through the darkness that plagued me and climb my way to a victorious mountaintop. The view up here is breathtaking. Even as I write this, I have tears (of joy!) in my eyes. Reflecting on how far I’ve come brings great pleasure, and such a sense of accomplishment. It’s my hope and prayer that you aren’t in the same (or similar) situation(s) as I’ve had to overcome, but just in case you are, I give you…. Find Scripture passages (or inspirational quotes) that inspire, encourage, motivate, and uplift you and meditate upon them – daily. Write those passages and/or quotes on sticky notes and put them in places where you’ll notice them every day: on your mirror, on the fridge, on your computer, on your exercise equipment, etc. Find ways to be kind to yourself: sip a cup of hot tea with lemon, enjoy your favorite treat (whether it’s food or a place), get out of the house and do something fun – the sky is the limit! Let go of regret; let go of the past. There’s nothing we can do about what’s already been done – except learn from it and move on. As long as you’re holding on to the past with a death grip, you’re creating a breeding ground for a broken heart, disease, depression, and a very unhappy, unhealthy lifestyle. Do something for your body, mind, heart, and soul. This might include yoga, signing up for a gym membership, a weekly – or monthly – date with a friend or whomever you’re dating (or married to). I also learned to smile and laugh at life, and at myself. And the poem, Footprints in the Sand, brought great comfort to me as I stumbled along my healing journey. As Zeenat wrote in her post about Footprints in the Sand, her grandfather taught her the poem, but it was my grandmother who instilled it in my heart. (Grandparents have such a loving way of teaching our hearts to love, grow, and thrive, don’t they)? I hope you can use these tips I’ve shared with you today to help you wade through the discouragement and dark valleys in your own lives, so that you’re able to use the experiences in a positive way, and come out victorious like I have! Have you overcome a horrific circumstance and found peace and healing? What tools did you use? Meditation ,Yoga, Prayer, Holistic methods, Counseling…Please share. I’d love to chat with you and glean from your experiences and wisdom! Michele L. Tune (aka Raw Juice Girl) is a freelance writer and blogger. She’s also a survivor of domestic violence who has lost 100+ pounds and found great healing through raw, living foods, juices, and holistic, natural medicine. She shares her passions via her blog “Healing with (Raw) Juices,” where you’ll find information on raw living, free recipes, yoga, and more. Raw Juice Girl also hosts a variety of reviews and contests for healthy products and foods. Subscribe to her blog and follow her on twitter to stay updated on the latest happenings. And I would love to write guest posts for your blogs too 🙂 Let me know if youre interested. Thanks. True Love or Infatuation-What’s the Difference? Thank you so much for featuring my guest post here, Z! I feel so honored to have the opportunity to share my heart with your readers. And thank you for encouraging everyone to subscribe to my blog and follow me on Twitter – you’re the bestest!! Thanks so much for having me as a guest. You’re the bestest!!! Can I add a 6th way to find your merry heart? Do something for others. Even if it is something simple like smiling and holding the door to a store open for someone, it can give your heart a burst of happiness! Hi Michele – I am so pleased you pulled through, and that you’re here now to help others. It’s good to hear you can laugh and see happiness around you. I’d add for the rest of us – our darknesses are not usually that dark – and out of every difficult, challenging, horrible situation there’s always some good to come out and be seen – take cognisance of. Look at the positive .. not at the negatives – negatives are in the past .. the positive is now. Amen to the positives! There was a time that I DID dwell on the negatives and that was the most difficult time for me. Once I learned to dwell on the positives, my life really transformed and the healing began. I appreciate your wise words, Hilary. Thank you! Michele, I’m relieved you are out of the misery and now in good hands. You’re strong to have overcome the depression and live a whole new life. It’s going to be a wonderful life ahead, surely. Thank you so much for sharing the message with us. Letting go of the past and do something for ourselves are really important advises. No matter how bad the condition we’re in, may we always remember to heal our hearts first. God bless you always! I love what you said: “that our hearts heal first” <— Amen!! God bless you always, too!! This is a wonderful guest post. It is very valuable to both women and men who are in an abusive relationship. I think people who have been abused in this way need to relearn their value because often many emotional patterns are made during the relationship and need to be broken and not repeated by the victim. Great article and thank you so much for sharing this important message. I love that you mentioned we need to “learn our value so the patterns will be broken and not repeated.” That is so, so true and is wise words to live by. You’re incredible, and I feel privileged to read your words. I just started following you on Twitter, too. 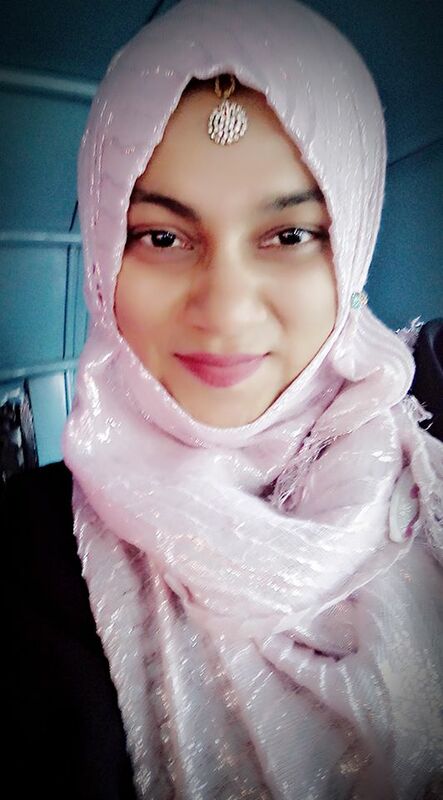 Zeenat – thank you for this introduction. Wow… Your story blows me away. ( * bow * ) Thank you for sharing your journey with us, but also being such a source of inspiration and healing. I look forward to your Tweets! Thank you. I'm so glad that you enjoyed my story, and that your now following me! I'll follow you back. I'm honored to be a source of inspiration! That, in itself, has been healing to me as well… just knowing that I can brighten someone else's day and help make their live a little richer overall. What a beautiful and inspirational post! It is so wonderful to hear about your positive story and how you managed to not only turn things around, but today inspire others to do the same – thank you! Thank you!! I’m thrilled that you enjoyed my story. It’s such a huge blessing to be able to encourage and inspire others that they can have a better life, that they do have value, and that they are indeed absolutely precious. Hi Z and Michele! What a dynamite duo! Wow! Love the list – it wisdom personified! Am especially fond of #4 – no regrets and letting go of the past! Regret is like stinky garbage – it doesn’t do you good to keep it, serves no purpose whatsoever, and pollutes up your present moment – let it go! Yes, there you go! “Regret is like stinky garbage… and pollutes up your present moment!” <— Amen to that! Am so glad you guys are enjoying Michele’s post! Isnt she wonderful ?? Thank you everyone for stopping by and making this guest post so so special. Love this post, Michele! Thanks so much for sharing these beautiful insights! 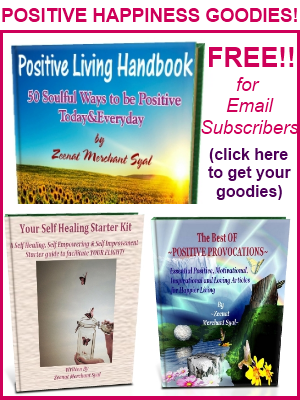 And thank you, Zeenat, for inviting Michele to write a guest post on your blog! Her advice is always so positive, uplifting, and encouraging. And, yes, much thanks to Zeenat for hosting my post. She’s such a precious soul!!! Years after my abusive marriages ..yse I made the same mistake twice.. but years later I still feel the stings from it all. Its a very hard recovery road. Being good to myself was hard to do for years. Nowadayys its hars to relax…as you know. thank you AGAIN for deeply helpful message. It came at the perfect time. Number 4 is a huge one for me, too. It’s so hard to let go sometimes (a lot of the time). Sorry for the horrible typo’s blog commenting on my kindle is proving to be less than stellar …haha! Since you go by the name Raw Juice Girl I’m sure it’s not new news to you, but I know that when I made the switch to a vegetarian diet a few years ago, the benefits I experienced were PHENOMENAL. Both physically, mentally, and spiritually; I felt like a fog had been lifted from my mind. Anyhow great post Michele! I especially like doing something for your body; whenever things aren’t going your way, it’s always important to remember that when you respect your body and physical being, it might just return the favor. I’ve actually eaten a really healthy diet over the past 5+ years: high-raw, vegan/vegetarian-ish . With the (very rare) exception of an occasional (small portion of) fish, eggs, or honey, that is. And there’s also been various times that I was 100% raw vegan and I’ve also juice fasted extensively (up to 52 days at a time). So, yes, what we eat and drink plays a HUGE role in how we feel, and our outlook on life. Michele — Your words show an abundance of spirit and heart. It isn’t easy to overcome what you’ve experienced and come out of it with such a loving attitude. I’m honored that you are uplifted by my words. And, yes, Zeenat always has something special – what a privilege to be a part of it! Michele, what a brave and inspiring post. I can’t even begin to imagine what you went through but your spirit shines through in this post- Thank you.